Our Annual Gala - SFCCC's biggest annual event, featuring a festive reception and program - brings together 200+ local health care leaders, advocates and community members to raise funds and awareness for SFCCC's vital services. This year we are pleased to honor three of our Community Health Care Heroes - Dr. Nadine Burke Harris, Senator Scott Wiener, and Mayor London Breed - for their dedication to our state, city, and community. In partnership with Sandra Fewer's office, Project Homeless Connect and SFCCC's Street Outreach Services program are bringing their services to neighbors experiencing homelessnes in the Richmond District. On Fri. Feb. 15th, 10:00am-1:00pm, at Park Presidio United Methodist Church, 4301 Gearly Blvd @ 7th Avenue, services will include medical care; reading glasses; hygiene kits; and vouchers for haircuts, dental care, and DMV ID's! All services are free. SFCCC celebrates National Health Center Week (NHCW), an annual celebration with the goal of raising awareness about the mission and accomplishments of America’s health centers over the past five decades.“Celebrating Health Centers: Home of America’s Health Care Heroes” is this year’s theme for NHCW 2018. California’s community health centers have achieved an unparalleled record of stability, cost-effectiveness, and quality improvement as they have grown to provide care to 6.5 million people – that’s 1 in 6 Californians! San Francisco Community Clinic Consortium's 11 member clinics serve over 112,000 low-income, uninsured, and medically underserved people per year. The clinics are located strategically throughout San Francisco to meet the health needs of the people and communities they serve. It is this legacy of success, and those who have helped us achieve it – including policymakers, community partners, and the thousands of individuals who work in health centers – that National Health Center Week 2018 will celebrate. SFCCC is proud to honor our member clinics during National Health Center Week! 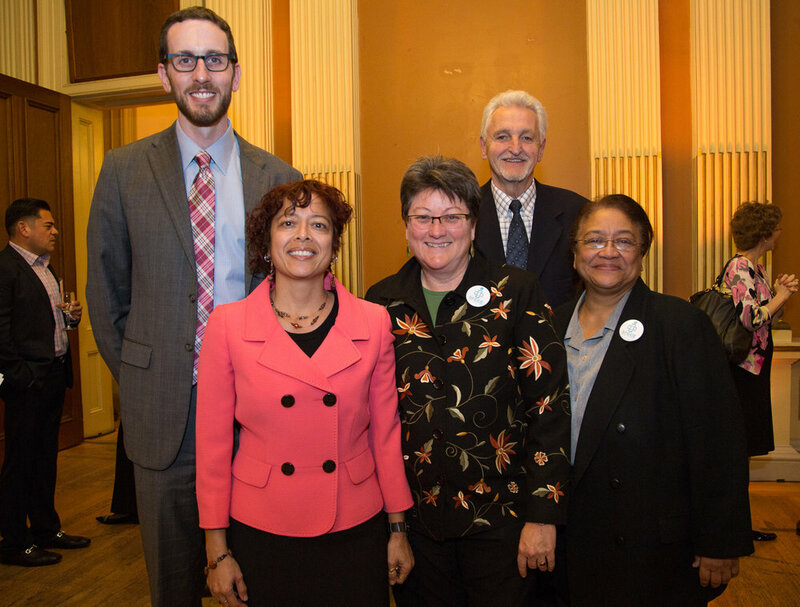 On June 28, 2018, SFCCC took time to celebrate our 36th anniversary of working to ensure all San Franciscans have access to quality health care and to reflect on our 30 years’ contributions of the San Francisco Health Care for the Homeless Program. As important as the program was in 1988, it is more imperative now in 2018. We took this opportunity to honor two of our Community Health Care Heroes, Charles Range, Chief Executive Officer, South of Market Health Center for his 43+ years of service in community health care, and Senator Dianne Feinstein for her tireless dedication to our state, our community and our citizens.